The financial services regulator supports the introduction of a “best interests” duty for brokers, a senior manager at ASIC has revealed. Speaking at the Finance Brokers Association of Australia (FBAA) national industry conference, Evolution, on Friday morning (16 November), Boyd Honor, ASIC’s senior manager for deposit takers, credit and insurers, commented that the regulator was in favour of introducing an additional best interests duty for brokers. On 28 September, the interim report from the Royal Commission into Misconduct in the Banking, Superannuation and Financial Services Industry was released. One topic that the commission asked the market centred around whether it would be “desirable to prescribe that some or all of those who are not employees of banks, but deal with bank customers, must act in the interests, or the best interests, of the client”. “In particular, what duty, if any, should a mortgage broker owe to the prospective borrower? Is value-based commission, paid to the broker by the lender, consonant with that duty? Should a mortgage aggregator owe any duty to the borrower? Again, are the remuneration arrangements for aggregators consonant with that duty?” the commission asked in its interim report. In response, Mr Honor told delegates: “ASIC’s submission to the interim report is now available and, among other things, includes the suggestion of broker-specific responsible lending obligations, which would be in addition to the existing responsible lending obligations for lenders. The regulator has outlined that the additional obligations for brokers could drive brokers to use similar technology to that used by loan comparison websites to enable the sifting of loans. Specifically, ASIC said that its view is that the content of this duty “should be expressed as a broad statement of principle, such as an obligation ‘to act in the best interests of the consumer in the selection and arranging of loans’ (i.e. it would have a broad application similar to the statutory obligation to act efficiently, honestly and fairly, and act as a guiding principle for the conduct of the broker across all their dealings with consumers)”. It went on to recommend that the best interests duty could be included in the ASIC Act, “giving it application beyond regulated credit activities, as it complements, but is not an alternative to, the enhanced responsible lending obligations”. “make a written assessment that documents the reasons for selecting one product over others and give the consumer the written assessment at the time of recommendation”. it can “deliver benefits to small business borrowers, without the risk of an adverse impact on credit pricing or availability (given that placing additional obligations on brokers will not affect the practices of lenders)”. ensure that brokers provide value to the consumer through the loans they arrange (in the language of the royal commission interim report, that they do not just “sell bank loans”). 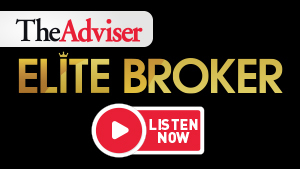 On broker remuneration, Mr Honor said: “ASIC considers the risks created by conflicted remuneration for brokers cannot be fully addressed by directing the broker to managing the conflict between their interest in remuneration and best interests duty. In its submission to the interim report, ASIC noted that lenders have already started to “voluntarily remove some types of conflicted remuneration that are more likely to contribute to poor consumer outcomes” (e.g. volume-based commissions), but it considered that it was “too early to determine whether these changes to remuneration go far enough, and whether a complete prohibition on conflicted remuneration is necessary”. ASIC’s comments come as the royal commission begins its seventh round of hearings in Sydney, and follows on from several warnings regarding the potential unintended (and damaging) consequences of introducing such a duty.